We are presently learning from The God Who Speaks video study. 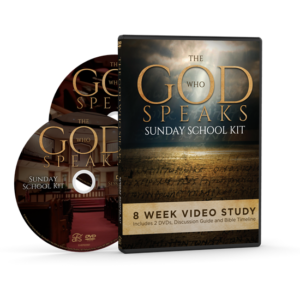 The God Who Speaks: Sunday School Kit is an 8-week video study that explores the topics of biblical authority and reliability using never-before-seen footage from the documentary The God Who Speaks. 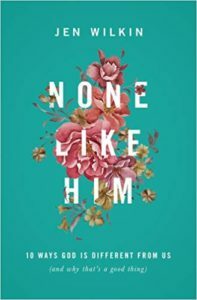 We recently finished None Like Him by Jen Wilkin. Jen did an excellent job walking through characteristics of God that demonstrate that he indeed is God, and we are not. The beautiful encouragment is that as we embrace these key differences, we will find true rest and peace. 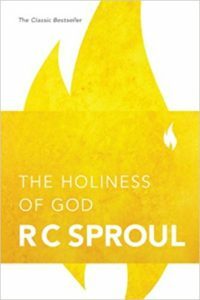 We previously studied The Holiness of God by R.C. Sproul. This classic work written by one of the premiere theological minds of the 20th century opened our eyes to the holiness and awesomeness of our God.